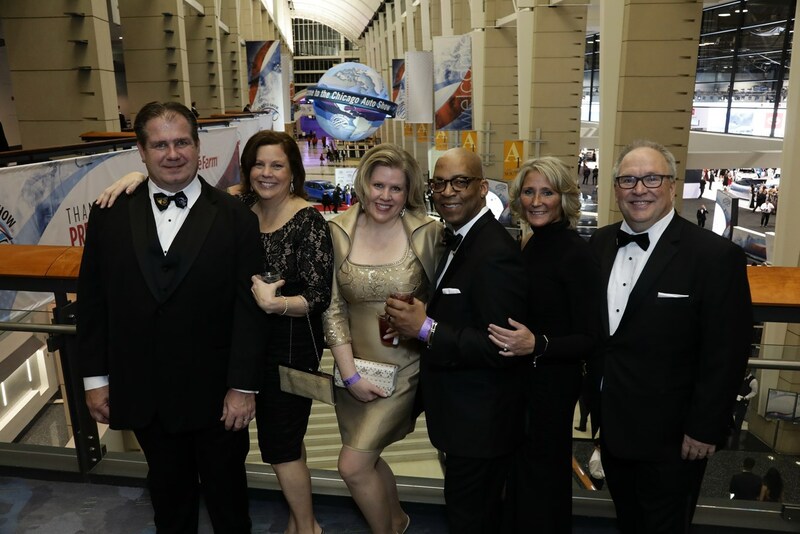 CHICAGO (Feb. 11, 2019) - The Chicago Auto Show's 28th annual First Look for Charity black-tie gala raised more than $2.8 million for 18 local nonprofit organizations, boosting the total to more than $53 million since its inception. Held the evening before the nation's largest auto show opens to the public, First Look for Charity offers car buffs and socialites alike the first chance to see the industry's latest cars, trucks and SUVs while sampling fine fare and crafted cocktails from area restaurants and caterers. Two attendees also left with the keys to new vehicles. 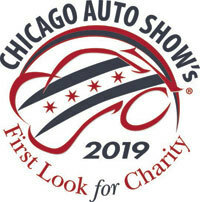 "First Look for Charity is a great instrument for the area's new-car dealers to show the positive impact they have on their community," said Ray Scarpelli Jr., chairman of the Chicago Auto Show. "All the benefiting charities are involved locally, so the money that's raised in Chicago stays in Chicago." A highlight of the evening was the drawing for the event's grand prizes, this year a 2019 Chevrolet Blazer and a 2019 Jeep Compass. Justin Salazar, of Chicago, won the former; and Winston Woodard and his wife, Janeen Naki-Woodard, both of Oak Lawn, won the latter. Regarding winning the keys to the all-new Blazer, Salazar said "I did think we had a little bit of a chance to win. On his reaction to winning, Woodard said "I'm excited. I know my two boys will be excited, too." Chevrolet and the Chicagoland & Northwest Indiana Chevy Dealers provided the Blazer, and the Compass was compliments of FCA US LLC. Wintrust Financial, the Chicago Auto Show's official bank sponsor, also bestowed $250 gift cards on both winners. 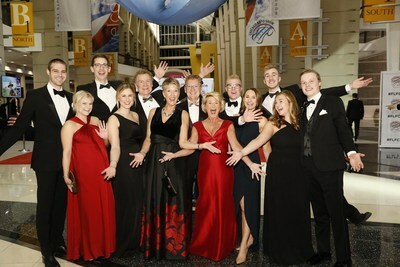 This year's beneficiaries included the 100 Club of Chicago; Advocate Health Care; Boys & Girls Clubs of Chicago; Catholic Charities of the Archdiocese of Chicago; Catholic Charities of the Diocese of Joliet; Clearbrook; The Cradle; Franciscan Community Benefit Services; JDRF; Susan G. Komen-Chicago; Ann & Robert H. Lurie Children's Hospital of Chicago; Lydia Home & Safe Families for Children; March of Dimes; Misericordia; New Star; Special Olympics Illinois; Turning Pointe Autism Foundation; and Jesse White Tumbling Team. The 2019 Chicago Auto Show runs from Feb. 9-18 and is open daily 10 a.m. to 10 p.m. each day, except for the final day, Presidents Day, when the show closes at 8 p.m.